Snowfall is forecast across the county this evening and is due to continue overnight meaning travelling conditions on Friday morning could prove extremely tricky. Worcestershire is preparing for a blast of wintry weather, as a yellow warning has been issued by the Met Office for Snow and Ice. The County Council has 14,000 tonnes of salt housed within its depots and the gritters have been going out all of this week to spread on the roads as the cold weather continues. Jon Fraser, Worcestershire County Council Highways, said: "We're expecting snow to reach Worcestershire later on this evening, with temperatures remaining cold over the next few days. We'd urge everyone to travel with caution, taking care as some routes across the county could be treacherous." Currently, as it stands south of the county is forecasted to see the heaviest and most persistent snow, while in the far north it could be limited to only a few light snow showers. 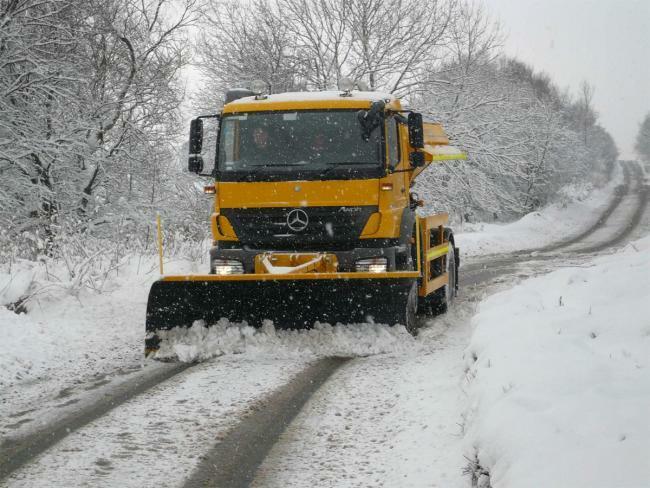 Gritters will be going out at 6pm, treating the county's primary and secondary routes. They will then return to depots to have snowploughs fitted – the teams will then be watching closely overnight and will deploy equipment as and where necessary. To stay up to date with the latest updates, please monitor @WorcsTravel on Twitter for more details.